BEIRUT: Lebanese Forces leader Samir Geagea Monday pledged to continue fighting against the decades-old pollution emitted from the Zouk Mikael power plant. “Action will not stop and we will continue [to lobby against the pollution from the plant] until all our demands concerning are met,” Geagea told reporters at a news conference. He said the damage was not only restricted to residents of Zouk Mikael, north of Beirut, but those living on the outer edges of Kesrouan as well as in Jbeil, and even in the capital, Beirut. 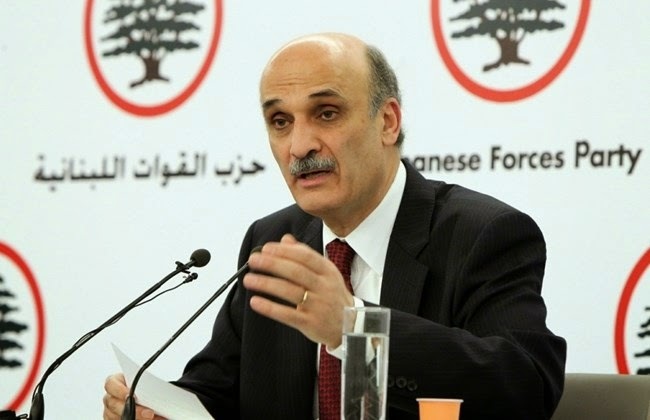 Geagea said the protests held Saturday will continue until the needed funding is approved to tackle the issue. He urged Prime Minister Tammam Salam to intervene to help resolve the crisis. For Zouk residents, the black clouds rising from the plant smoke stacks are a daily occurance as is the film of black dust that settles on their homes. The municipalities of Zouk Mikael and surrounding districts of Kesrouan have also experienced disproportionately high rates of cancer and a slew of respiratory conditions, among them asthma and emphysema. Disease incidence has grown progressively worse over the past two decades.